Your browser does not support HTML5 Canvas element. 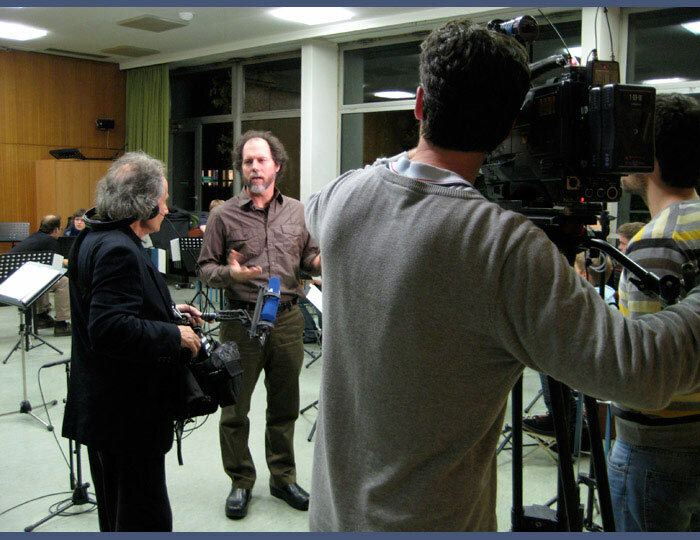 The moment I arrived in Hamburg for the Hamburger Gitarrenfestival, I had a TV spot to shoot for German television. The spot featured the students of Christian Moritz, the director of the Hamburger Gitarrenfestival. Christian Moritz is in the middle photo, and on the right is George, who is indispensible in keeping things running smoothly. 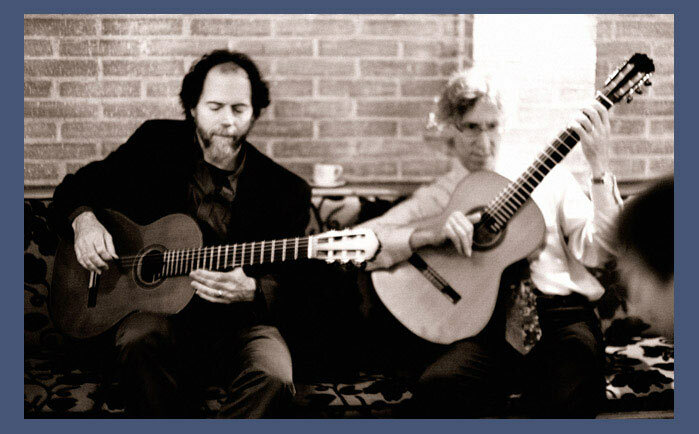 Many great guitarists were at this festival, representing many styles - David Russell, Johannes Tonio Kreusch, Peter Finger, Don Ross, Antoine Dufour, and more. 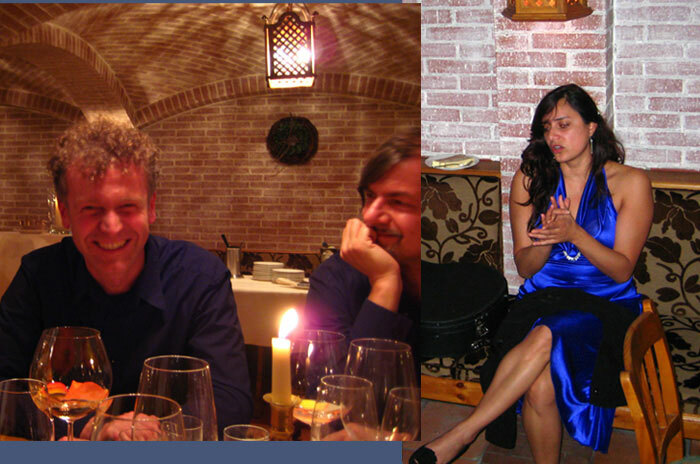 Johannes Tonio Kreusch and I shared a concert, and at the end we played two pieces together. First, my composition "Sanzen-in", which I wrote after visiting this thousand year old temple in Kyoto, Japan. The second piece Johannes and I played was a free improvisation. Here listening to a street musician playing an instrument called "Hang". The first time I heard this instrument was in Barcelona, and I am enchanted each time I hear it. 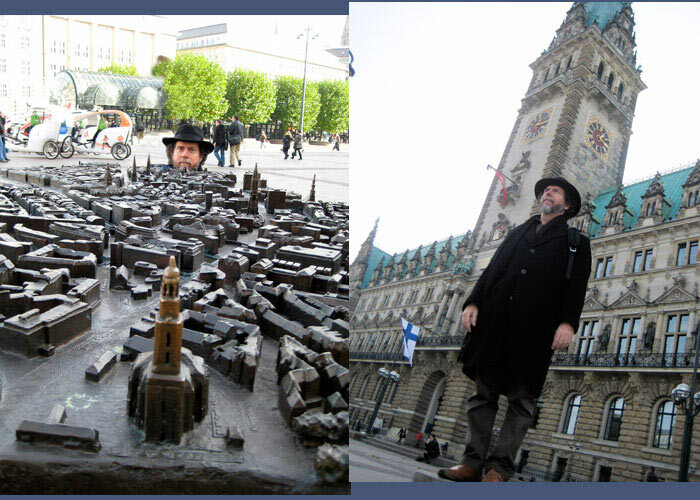 Visiting downtown Hamburg. I had hoped to visit the Star Club, where the Beatles got their sound together before they became famous, but was disappointed to learn it has been torn down. 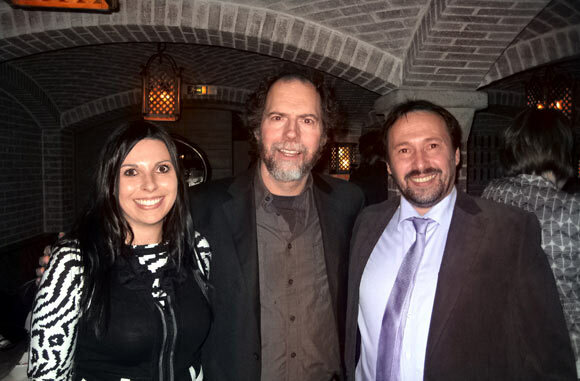 Out to dinner with David and Maria Russell, and Don Ross. From the Mosel valley of Germany come some beautiful white wines. 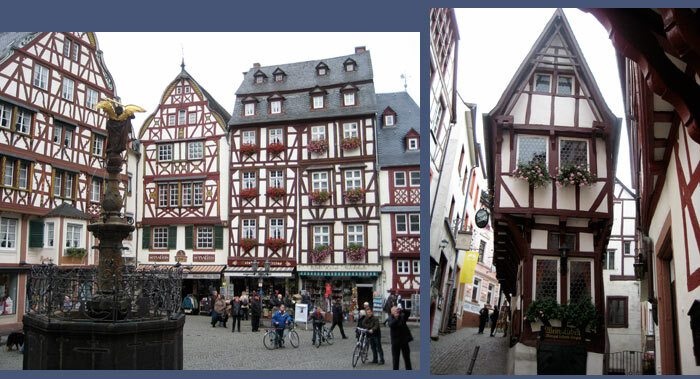 I was able to spend some time in Bernkastel-Kues, a town that is special to me. Grapes were being harvested while I was there. 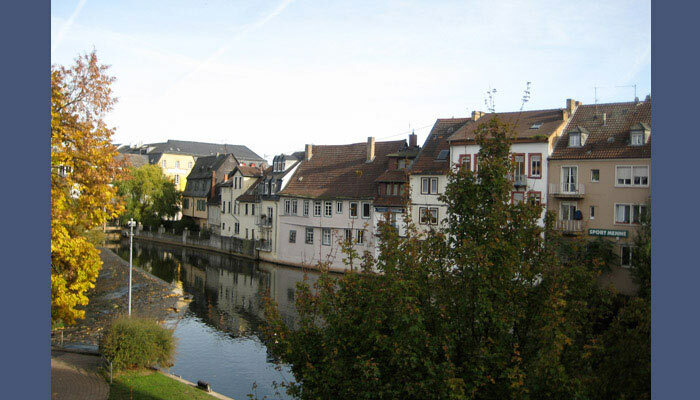 A lovely medieval center to the town. Vineyards stretch up the mountainside above the village. I watched the grapes being picked, and then loaded into trucks and vans to transport to the wineries. View of the Mosel valley from the castle. 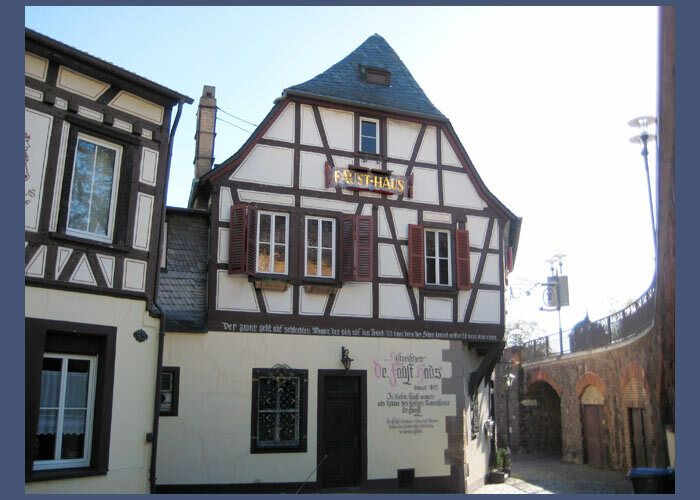 Also visited the city of Bad Kreuznach, another very charming town. In Munich I played in the Nymphenburg palace, one of the most impressive baroque palaces in Europe. It was the summer home for Bavaria's rulers, and was constructed in the 1600's. 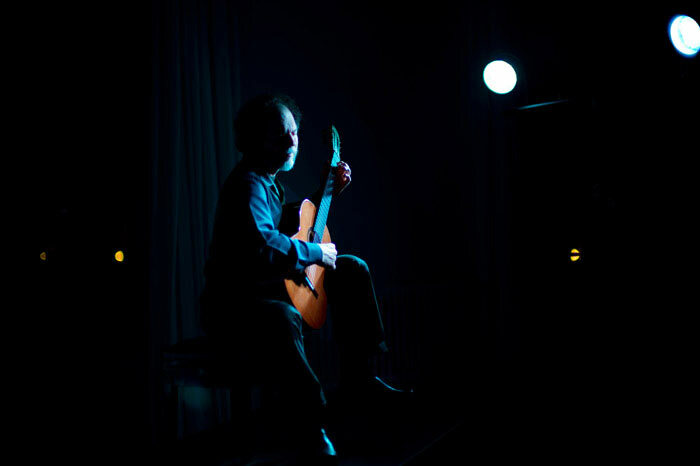 Onstage, playing my Dammann guitar. 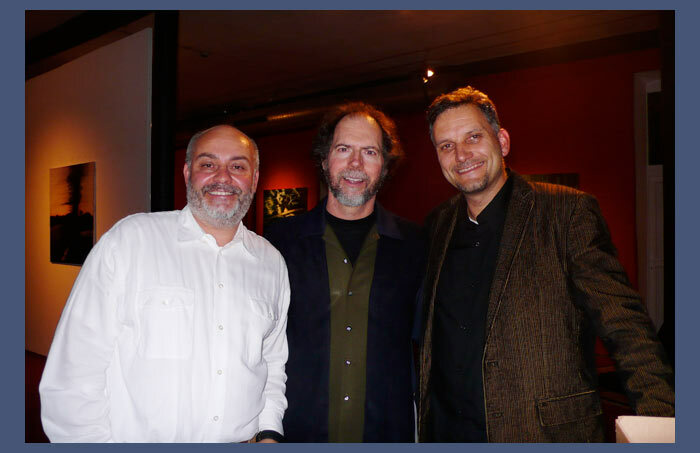 The concert was set up by my friend and colleague, Augustin Wiedemann, and Klaus Wildner (more on Klaus below). 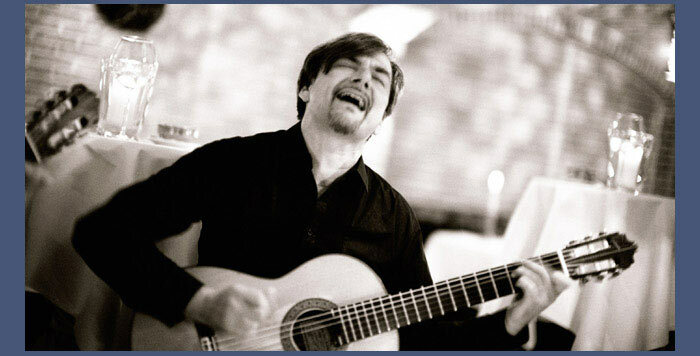 I've known Augustin for many years, and his creativity is always bursting beyond the classical guitar boundaries, in very cool ways. 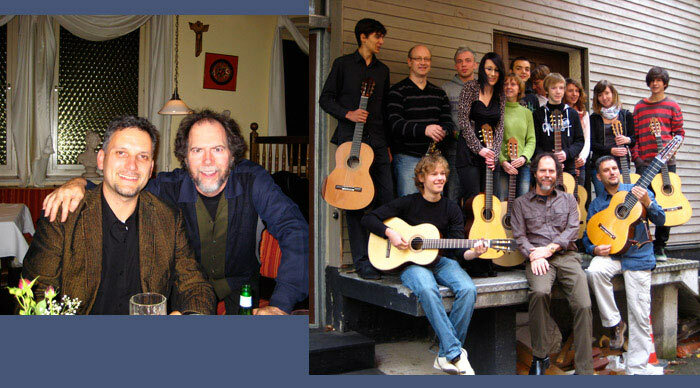 Smiling in the left of this photo is Herman Hauser III, great-grandson of Herman Hauser the first, who built guitars for Segovia. 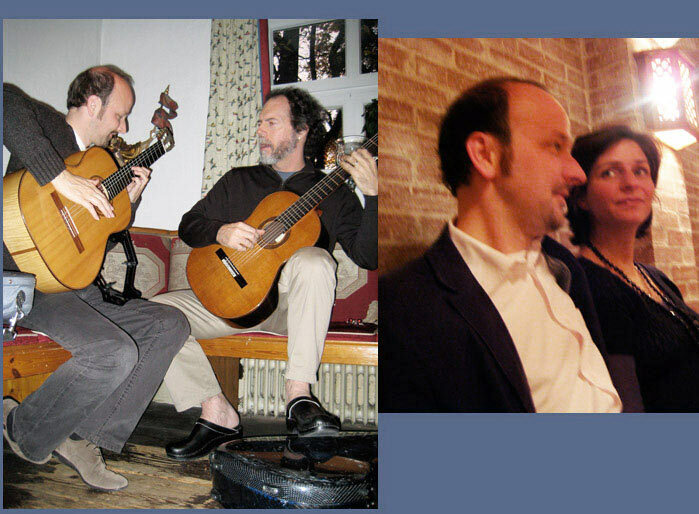 While in Munich I rehearsed with Johannes Tonio Kreusch (who runs the Hersbruck Festival in Germany). 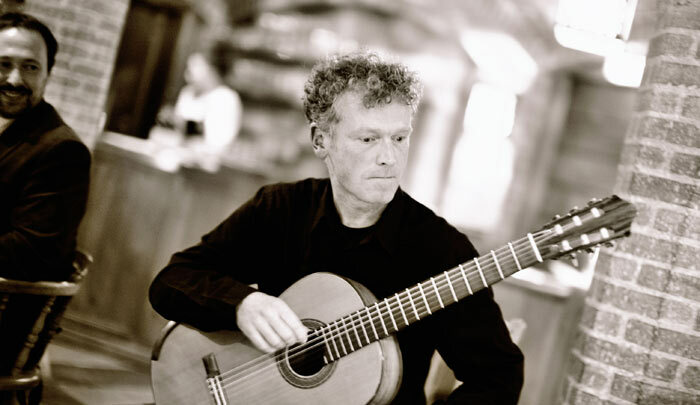 Johannes is a fine composer as well as guitarist, and we were preparing for our concert together in Hamburg a week later. We met in Munich to practice my piece "Sanzen-in". To the right is Johannes with his wife, Doris. After dinner the guitars came out, and the jam session went on almost all night. A good shot of Eliot Fisk and me. 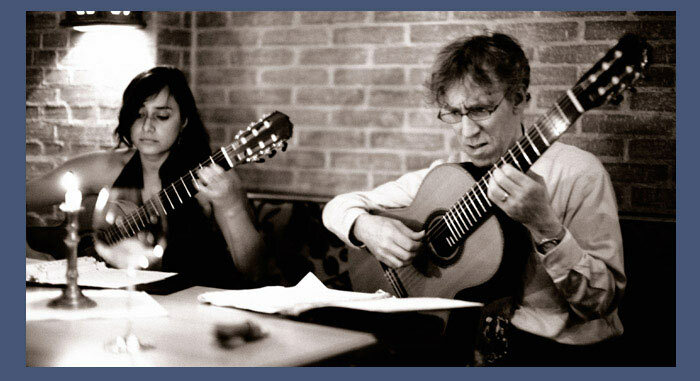 Eliot and his wife Zaira played duets for a while. Kosho was singing and rocking all evening. 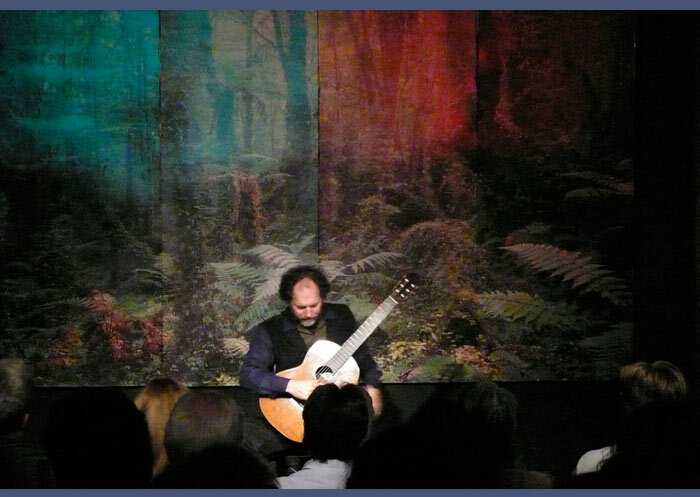 He and Augustin did some Dowland songs for guitar, voice and cajon(! ), so good. Then he sang many of his own tunes, which are just fantastic. This is Herman Hauser III, and his daughter Kathrin, both carrying on the family tradition by building wonderful and sought-after instruments. The four generations of guitar building in their family are a piece of history. Kosho and Augustin, enjoying the party. To the right is Zaira doing palmas to the music. 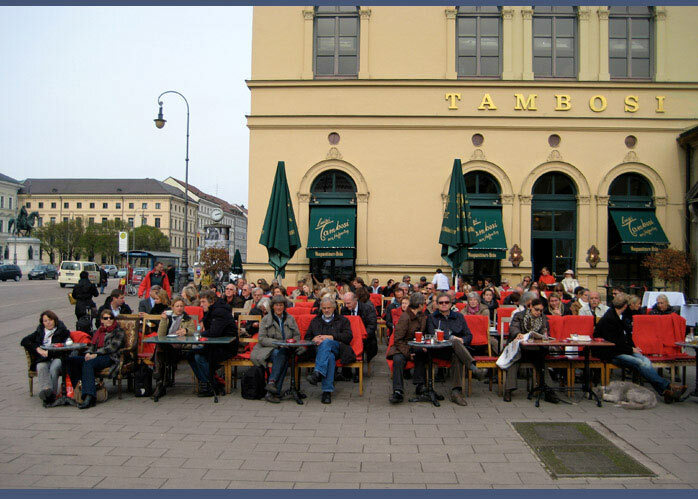 Downtown Munich, I liked this cafe where all the chairs face forward, like some kind of outdoor movie theater. All the people are facing the sunset to catch the warmth from the last rays of the autumn sun, reminding me of sunflowers. 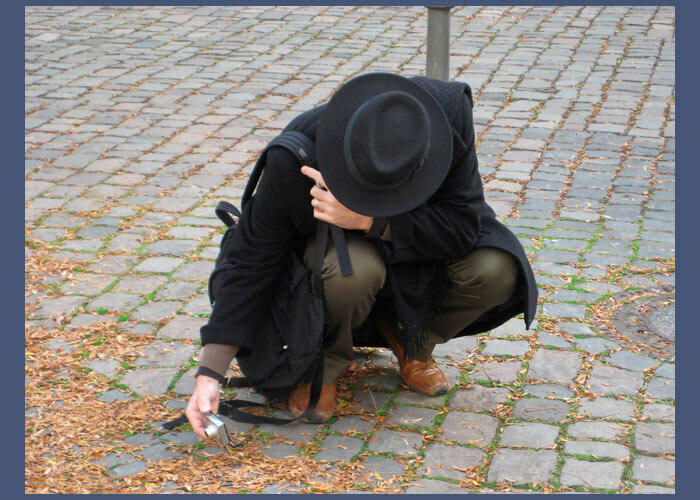 Taking a photo of leaves that seemed suddenly interesting. Johannes Stickroth brought me to Augsburg for his series. The venue, Werkstattgalerie Kr�ggling, is a very hip club-like space, and it draws an equally cool audience. To the right are the students of Johannes who I taught the day after the concert. Relaxing before the show. To the right is a glimpse of the venue. Next day was spent teaching Johannes' students in their large ensemble. 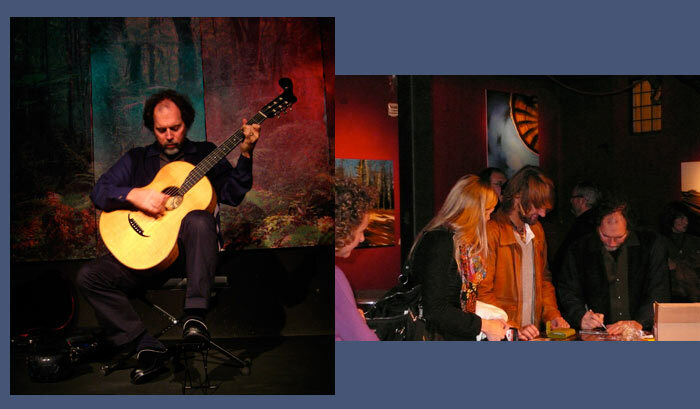 The experience of twenty years of playing in the Los Angeles Guitar Quartet comes in handy for ensemble coaching. The ensemble played my pieces "Lotus Eaters" and "Along the Edge". I liked the rainforest motif for the stage backdrop. 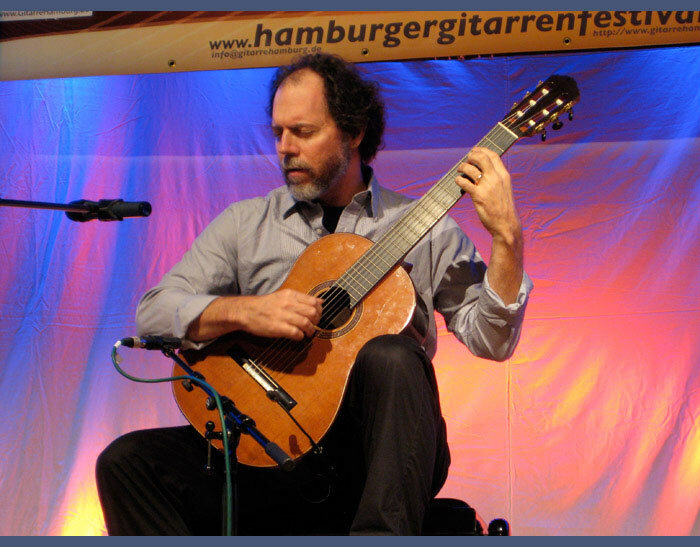 The guitar collector Klaus Wildner lent me a 1927 Hauser guitar to play for this concert. This guitar is astounding and powerful, as well as priceless. It is tuned down a fourth lower than a regular guitar, and has a rich and deep bass. I improvised a piece on it, which was a better and more exciting choice than playing a composed work down a fourth. To the right, a little signage in the upstairs cafe/lobby after the concert. After concert, inspecting the alcohol, deeming it worthy, and then toasting all around. On the left is Bernd Koroknay, the owner of the hipster venue, and Johannes Stickroth, the presenter.